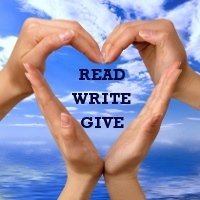 Each week I’ll be donating $50 to the charity of a blogger’s choice as part of the “Read, Write, Give” drive. You can also see previous charities and bloggers featured and check out the Pinterest board. This week, Kelsey Opsahl from Kelsey’s Book Corner is supporting the Humane Society of the Lakes. You can read more about them after her interview. I’ve often said that book bloggers are the “Fairy Godmothers and Godfathers” of the literary world – and I really believe it. Therefore, I’m thrilled to have the opportunity to interview some of these wonderful bloggers and shed a little light on why they undertake this epic labors of love! This week’s interview is with Kelsey Opsahl, who runs the wonderful blog Kelsey’s Book Corner. Kelsey is a self-professed book hoarder and as well as blogging works as both a legal administrative assistant and a paranormal investigator! Well, what can I say: I live in Minnesota and I am a legal administrative assistant by day, paranormal investigator by night and on the side I love to read/review books. I am also a consultant for Jordan Essentials, Bath & Body. I have been married to my wonderful husband for 9 years and we have two cats, Jack and Mimi, and just recently adopted a puppy, Jasper. My hobbies are reading (hmm..imagine that), fishing, bowling, and cooking. Butterflies play a big part on your blog and are used to rate the books you review. Could you tell us how you came to choose this theme? I have always loved butterflies. To me they represent happiness and freedom. The reason I use them in my blog is because reading fills me with happiness and I love that we live in a world where we have the freedom to read whatever we want. You have a book sale/trade for email subscribers as well as monthly competition. Could you tell us more about this? I stopped counting my extensive book collection at over 2,000 books a few years ago. That is when I knew I had a problem..LOL. I decided to start posting them on my site in case anyone else would love to read the books that I have already read or that I haven’t and want to find a home for. Granted I do have enough shelf space for all my books but I would rather them find homes where they will be read and appreciated. Once winter sets in around here I have more free time to add to my online collection. You must get hundreds, if not thousands, of review requests every month. How do you handle all the requests? I handle them relatively easily. At first they did feel overwhelming but I have gotten better at politely declining a book if I feel that it won’t be a good fit for me. When a request comes in I pull it into a folder of pending requests. Then once a week I go through them and first see if the author/publisher correctly requests the book review (meaning they most likely read/seen my blog and know my name) and secondly if it is a book that falls in my genre that I read. I do try genres that I don’t normally read and have enjoyed them, so it never hurts to ask. I find this system works best for me. What, for you, is the most important quality in a book? It has to catch me from the first chapter. If it doesn’t, then the tone is set and it can be hard to get through the book. Do you review self-published books? Why or why not? Yes I read self-published books. It is amazing how many gems are out there that I wouldn’t have discovered. I hope by posting reviews of these great books others find them a gem as well. Do you find a difference in the quality of traditionally and self-published books? If so, what are the major differences? I have noticed a tiny difference but nothing that makes me review them differently. Just like in traditionally published books, some self-published are good and some are really bad. Just because a book has a publisher doesn’t mean it is ‘better’ than any other book, it just means they caught the eye of someone. For indie authors in particular, getting reviewed is one of the biggest challenges. Do you have any advice? Please know who you are requesting a review from. Sending an email that says, Dear Blogger..etc: will not help your matter. Add something personal that shows that you have gone to their blog and actually want you to review their book. It may seem time consuming but we all have day jobs too and use our spare time to review your book. If an author/publisher uses my name and mentions something about my blog I will at least have them guest post or do an interview even if I don’t review the book. 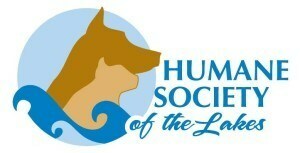 You nominated The Humane Society of the Lakes as your charity to support today. Can you tell us why? I’ve chosen The Humane Society of the Lakes in Detroit Lakes, MN. I am a HUGE animal lover and if it weren’t for my husband I am sure I would be more than just a book hoarder. Our local shelter is very active in our community and has found homes for so many cats and dogs. I just want to say thank you to Terri! I appreciate everything she has done for me and other bloggers. I have always felt appreciated ever since the first email I received from her. She encompasses all the characteristics that a blogger loves in an author and I will forever be a fan and supporter of her. Thank you so much, Kelsey – but its me who should be thanking you for your incredible support! Kelsey has been married for 9 years and lives with her husband in Minnesota with their two cats, Jack and Mimi. A legal administrative assistant by day and paranormal investigator by night, Kelsey still somehow finds the time to blog at Kelsey’s Book Corner!